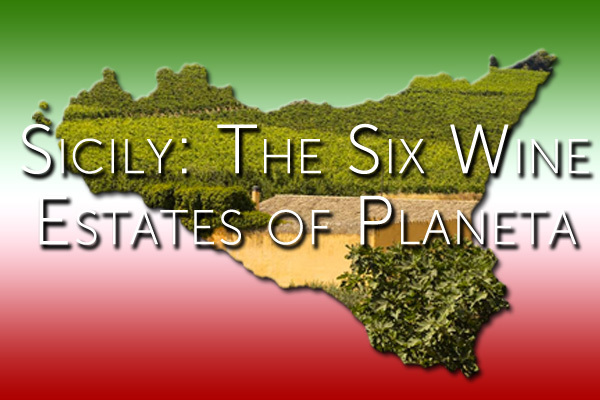 In 1995 the 17th generation of the Planeta family embarked on a Sicilian wine journey that has already reached some 22 wines from 6 quality Estates in different regions of Sicily. A well done wine venture! Impressed by my visit this month to their first one of 93 hectares ULMO near Sambuca di Sicilia producing 5 wines led by their oaky from 50% new barrels international styled Chardonnay plus a slightly sweet yet savoury white blend Alastro featuring 70% Grecanico (+15% each of Grillo & Sauvignon Blanc), Plumbago is drinkable ripe plums Nero d’Avola, single vineyards Sito dell’Ulmo juicy Merlot and Maroccoli minty spiced Syrah. 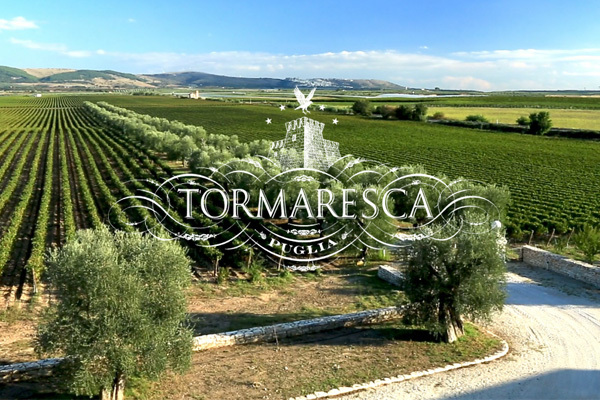 Smart how they planted early on here in 1985 with the international varieties like Chardonnay, Merlot, and Syrah to see the potential of wine in Sicily and with the success shown have now turned to focus on the native varieties. Their largest Estate of over 120 hectares in vineyards is DISPENSA also in Western Sicily on the hills of Menfi. Enjoyed staying right in the vineyards at their 2009 built ever so comfortable La Foresteria resort with outstanding food and hospitality. Definitely recommended. The 5 wines were interesting too with my favourite the flowery 2014 Cometa white from 100% Fiano grapes. Different from the more well known Fiano from Campania this one displays intriguing tangerine, chamomile, hay, with herbal basil and thyme. Should be a good pairing even with Thai or Indian cuisine. The big powerful 2010 Burdese Cabernet of 70% Sauvignon and 30 % Franc has a tannic structure with 14.5 alcohol. The popular blends of La Secreta Bianco & Rosso make for easy every day drinking as does the strawberry Rose of equal parts Nero d’Avola & Syrah. DORILLI in Southern Vittoria has 34 hectares on red sandy soils with enticing aromatics for the 3 wines of floral spicy roses Frappato and Sicily’s only DOCG (since 2006) Cerasuolo di Vittoria & their special Dorilli Classico both aged in bigger 500 liter casks. These last two a blend of a majority Nero d’Avola with Frappato have an extraordinary elegant fruit character of strawberries and cherries with a compelling citric acidity. This impressive 2014 vintage will only get better with a little bottle age. At the south east tip of Sicily by the picturesque town of Noto is 51 hectares of BUONIVINI featuring Nero d’Avola and Moscato. The hit is the well structured Santa Cecilia of 100% Nero d’Avola that does particularly well here in Noto. The 2011 was showing fragrant jasmine, orange zest, blackberry and graphite with only previously used Allier oak barriques. The limestone soil and the big range in daily temperatures in the summer are both keys to the complexity obtained. The exciting new Etna project at FEUDO DI MEZZA is one to watch. It began with plantings in 2008 on those northern slopes around the old village of Passopisciaro with a winery in 2012. They have a refreshing sparkling Brut from Carricante grapes used as well for a still Bianco & Eruzione 1614 (with 10% Riesling) marking the legendary eruption of that year. The star is 100% Nerello Mascalese for both the Etna Rosso & Eruzione 1614 red. Lovely forest floor and spice with a unique minerality from the terroir including lava and volcanic dust! The final Estate is their small 8 hectare north east Mamertino DOC called LA BARONIA on Capo Milazzo. Mix Nero d’Avola with 40 % Nocera for a lower alcohol easy drinking red fruity wine. Innovative experimental plantings are being studied of varieties like Vitraruolo,Lucignola, and Catanese Nera. Monitor this. Also 20 hectares of old olive groves. Their admirable SOStain program evalutes 10 top resources including ground, water, energy, human, etc. for best sustainable agriculture. They have improved every year and are now nearly perfect with over 90% success. Quite a winery success story by Planeta in just over 20 years. Congrats and keep it going! Have you tasted any wines from Planeta? Of course, in addition to all the bow ties and extravagant hats is the alcohol. Described in great detail by the late gonzo journalist and native Kentuckian Hunter S. Thompson, the “Run for the Roses” is renowned for being a well-lubricated affair. Whether it helps even the shiest spectator belt out the words to “My Old Kentucky Home” or takes the sting out of a losing bet, there’s no shortage of one particular drink on this very special weekend. That drink is the Mint Julep. A cool libation consisting of bourbon, sugar, crushed ice, water and mint garnish, this classic Southern cocktail has been the official drink of the Kentucky Derby for nearly a century. Traditionally served in a frosted silver cup, its refreshing nature proves popular amongst spectators enduring the heat and humidity synonymous with Dixie. According to some estimates, approximately 120,000 juleps are sold every Derby weekend, requiring 1,000 pounds of fresh local mint, 60,000 pounds of ice and 10,000 bottles of whiskey (more on that later). Evoking images of bluegrass gentility, the Mint Julep has largely become a once-a-year celebratory drink, consumed either at the track or by fans watching at home. And when tracing back its unique history and origins, it is clearly a cocktail clouded in mystery. Legend has it that a Kentuckian created the Mint Julep while boating down the Mississippi, topping off his bourbon and water with some fresh mint he saw growing adjacent to the river. 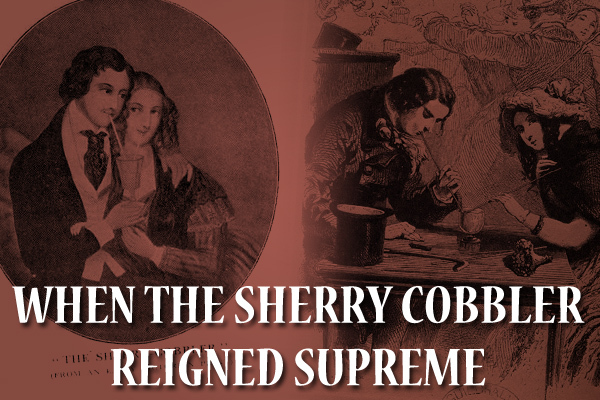 Others believe it to be an evolution of the English julep, which contained wine and brandy. 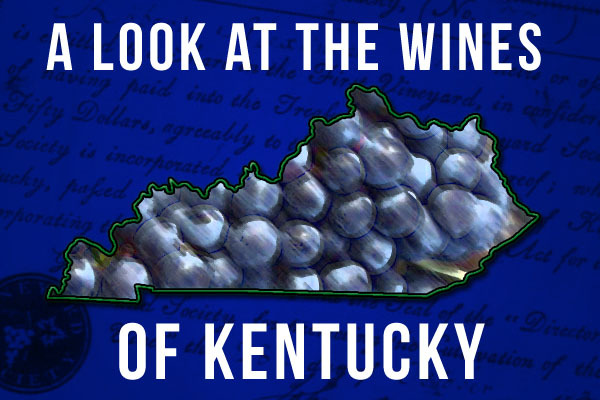 Since poor Southerners at the time couldn’t afford such expensive ingredients—even though Kentucky was one of the first states to make wine—they substituted it with cheap and abundant bourbon. And although nearly ninety percent of this spirit comes from the Bluegrass State, some historians believe that the Mint Julep actually originated in neighboring Virginia during the early eighteenth century. Then there’s the name; it may have been derived from the Persian gulab or the Arabic julab, meaning rosewater. A complicated history to say the least. Used at one time as a medicinal drink to ward off fevers, how it became part of horseracing culture is also in dispute. One story alleges that fresh mint was grown near Churchill Downs by its founder Meriwether Lewis Clark, Jr., inspiring a garnish to top off this libation. Even more perplexing is that for an eighteen-year stretch; Churchill Downs didn’t even serve authentic Mint Juleps. Since Early Times Kentucky Whisky—the official branded spirit of the Derby—has been aged in used barrels technically not allowing it be called bourbon, which by law must sit in new charred oak barrels. 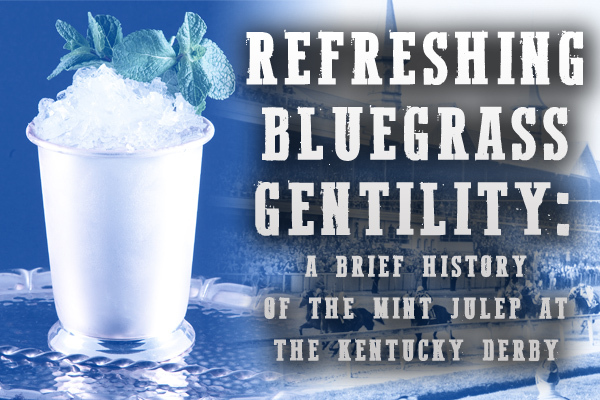 Not until 2015 did Derby official switch to genuine bourbon, making their Mint Julep the Real McCoy. 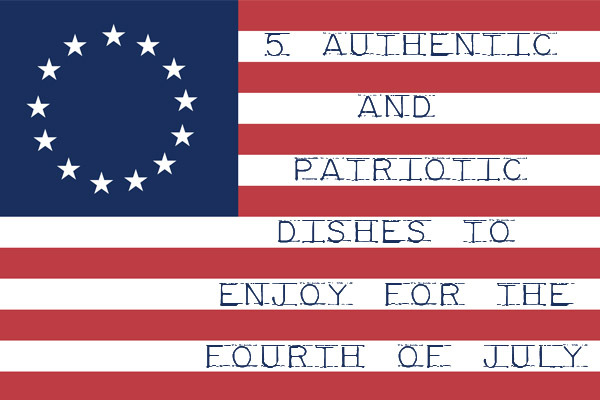 Having said all this, you may want to experiment with the recipe. Most experts recommend using superfine sugar as opposed to regular granulated sugar when serving. Others have mixed opinions on the use of a straw; many feel that in order to savor the mint’s aroma, you should either sip it from the cup or use a smaller straw. And since most of us don’t own silver cups, regular glasses will have to do. But if a cool Mint Julep is right up your alley, pour yourself one as you enjoy the first leg of the Triple Crown series and savor a great piece of American history. Cheers! Avey, Tori. (2015, April 15). Why We Drink Mint Juleps at the Kentucky Derby. PBS Food. Retrieved from http://pbs.org. Nicholson, James C. The Kentucky Derby: How the Run for the Roses Became America’s Premier Sporting Event. Lexington: University Press of Kentucky, 2012. Pardilla, Caroline. (2015, May 1). Surprise … The Kentucky Derby Hasn’t Sold Real Mint Juleps in 18 Years. Eater.com. Retrieved from http://eater.com. Reigler, Susan. Kentucky Bourbon Country: The Essential Guide. Lexington: University Press of Kentucky, 2013. Schmid, Albert. The Kentucky Bourbon Cookbook. Lexington: University Press of Kentucky, 2010. Young-Brown, Fiona. A Culinary History of Kentucky: Burgoo, Beer Cheese and Goetta. Charleston: The History Press, 2014. Are you a fan of the Mint Julep? 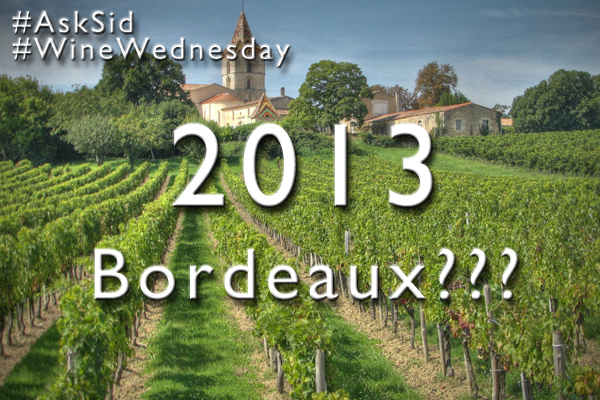 Question: Sid I know you are a wine expert on Bordeaux. Would appreciate help with your quick thoughts on the most recent outstanding vintages and the duds. Thank you. Answer: Thanks for your kind words. Times have really changed in Bordeaux since the decade of the 60s & 70s when there were some very bad years like 1963, 1965, 1968, 1972, 1974, 1977 and others. Today every vintage is relatively acceptable drinking early on though different in ultimate quality and complexity with age ability. Let’s look briefly at the years since 2000. Clearly the best 3 are 2005, 2009, and 2010 all producing some really outstanding wines. The brand new 2015 is very promising and seeking to join that illustrious trio. At the other end of the scale in my opinion as most disappointing though not really “duds” would probably be 2011 followed by 2002, 2007, and 2004. The remaining middle group has 2000 ahead of the under rated 2001 and all the rest. 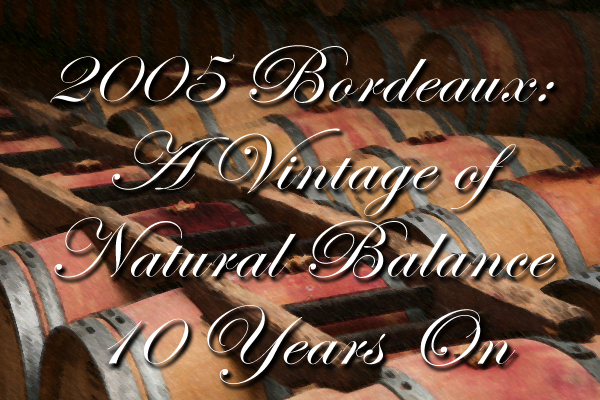 What has been your favorite Bordeaux vintage since 2000? Reminded this month how wonderful Riesling from the Mosel can be with their amazing ability to age. A treat showing of 14 wines by Nik Weis Owner & General Manager of St. Urbans-Hof (www.urbans-hof.com) confirmed this brilliantly. This respected producer has close ties with Canada because their Weis clone (21-B) of Riesling was planted in 1978 at Tantalus (previously Pinot Reach), Sperling, and Summerhill in B.C. & Vineland in Ontario among others. As Nik so aptly put it they have been the Noah`s Ark for Riesling vines. The first 3 wines served were Kabinett (no added sugar) of at least 70 Oechsle (around 16 Brix) which results in light, ripe, healthy but not over ripe styling. They used to be before global warming even drier and lighter than they are with current vintages. The differences in the vineyards shone brightly with the liquid gold of the Goldtropfchen from Piesport richer than the Bockstein from the cooler Ockfen in the Saar with typical floral lilac violet and even tars. Respect how Nik believes every year is different and unique always looking of for that magical moment to stop the fermentation with the right amount of residual sugar and acidity still in balance. This is really the art of not winemaking a term Nik does not like but caretaking to make the best wine naturally. Next came 5 wines from Spatlese grapes which Nik compares to a ripening banana with some browner spots giving more flavour and spice. More minerality was shown here which led into a discussion about the smell of petrol (from marmalade to kerosene). Nik feels that petrol should not be too prominent to be out of balance to the other key elements of the wine. 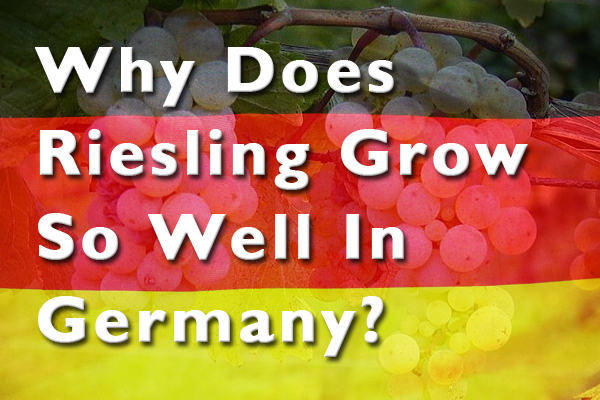 If it completely dominates he feels that it is caused by being grown in an environment that is too dry & hot not the most suitable terroir for Riesling. Here we tasted Laurentiuslay their warmest vineyard from older vines back to 1951 facing South-South West showing the most mineral oils and petrol aspects. The 1998 was a cool vintage showing almost atypical delicacy for Goldtropfchen but with that usual honey beeswax spiciness. 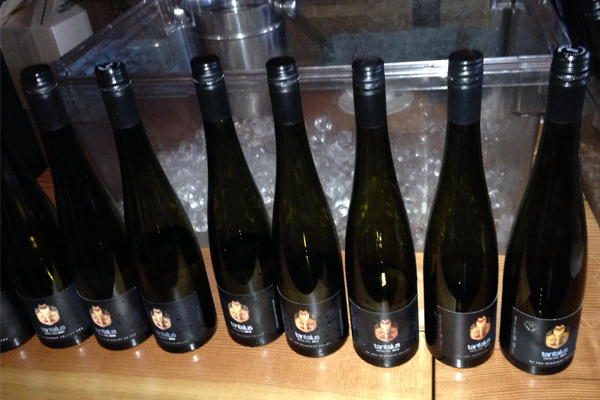 A spectacular finish of 4 Auslese, 1 Eiswein, and one TBA showed so much more richness and complexity. Asked Nik about the old days when the experts told us the Mosel & Saar relied so much on their bright fruit acidity that sometimes this was lost on the very sweet wines. Rheingau was said to have a more steely underlying structure to support these late harvest beauties. Nik replied that the region had changed with so many Rheingau wines now focused on producing Trocken from Auslese grapes. Nonetheless these wines were superb with my favourite the delicious 1997 Bockstein Auslese that was so fresh and alive that it didn`t seem sweet. 1990 was also a treasure but so much fuller richer softer with maturing colour. Icewine takes advantage of the cooler Bockstein vineyard with excellent balance for the honey caramel floral spieces! TBA is picked berry by berry at 200 Oechsle (divide by 4 for about 50 Brix) and only 6.4 alcohol. What a nectar! Tip: Nik very enthusiastic about vintage 2015 as a once in a lifetime year so a must buy. 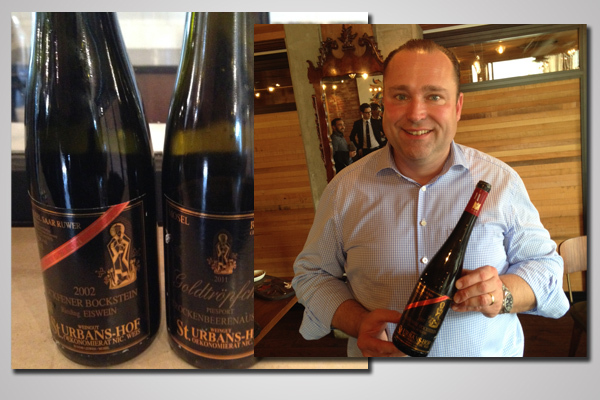 Have you tasted any wines from St. Urbans-Hof? With such an impressive selection of the rarest wines from Bordeaux and Burgundy, wealthy collectors from around the world are expected to bid top dollar when all these bottles go up on the auction block in May. 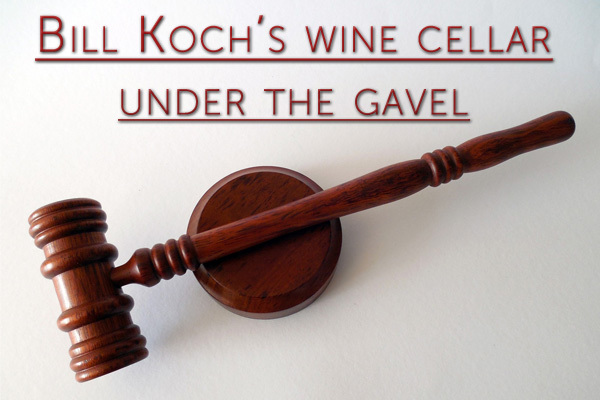 “Even if you don’t like his family’s politics, Koch’s name alone on the wine list, is enough to entice the most discriminating buyer, “ said Adrien Falcon, wine director at two Michelin ranked restaurants. And below are just five lots that eager aficionados will surely fight tooth and nail over to acquire. For Burgundy collectors, their mecca sits on just 4.46 acres of land in the region of Côte de Nuits. It is here where Romanée-Conti, a grand-cru owned by the legendary Aubert de Villaine gave the world some of the finest pinot noir ever made. Seeking out the very best from this iconic vineyard, many point to the 1959 vintage, which Michael Broadbent described as “faultless” with “excellent tannin and acidity.” Of course, the year also marked a turning point in wine collecting. With a devalued French franc, many Americans decided that it was the perfect time to enter the marketplace. Under this backdrop, Sotheby’s expects that just three precious liters of Romanée-Conti 1959 are likely to earn Koch up to forty thousand dollars. Another lot that’s guaranteed to sell quickly contains ten scarce bottles of Château Mouton Rothschild’s 1945 vintage—a vintage Decanter magazine called “the greatest claret of the 20th century” and that Robert Parker christened “a consistent 100-point wine (only because my point scale stops at that number).” But in addition to what’s inside the bottle is the iconic “V for victory” label design. 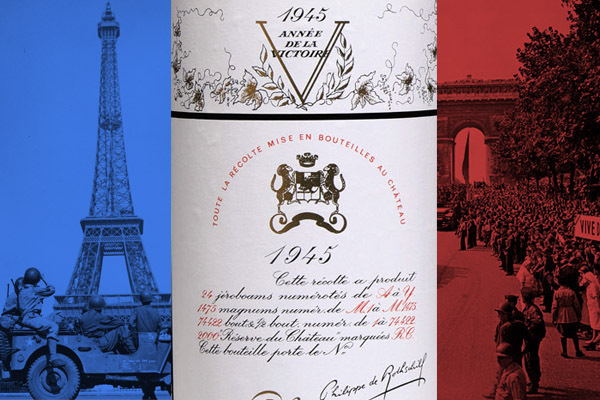 Beginning in 1945 and signaling a bold new era in wine marketing, owner Baron Philippe de Rothschild would commission a different artist each year to design their now famous label. This decision, along with some exceptional harvests eventually led to Mouton Rothschild’s upgrade to a First Growth Bordeaux in 1973. Don’t be surprised if Sotheby’s receives several six-figure bids on this lot. With roots that date back to the Middle Ages, Château Lafite Rothschild, the largest of the First Growths experienced a tremendous run of outstanding vintages from about 1945 to 1962. While never quite as good as Latour, wine writer Oz Clarke identifies two years in which the famous Lafite towered over its competition before entering a period of malaise: 1976 and 1953. According to Michael Broadbent the latter is “… not a wine to describe. Words simply cannot do it justice. If you are ever fortunate to share a bottle, just let it speak for itself.” Unfortunately, this experience won’t be cheap; a lot of six magnums may cost you $35,000 at auction. Today, many oenophiles tend to roll their eyes whenever a particular year is dubbed “the vintage of the century.” Just like overzealous boxing promoters who declare their next prizefight to be the battle of the century, its overuse has turned the description into a worn-out cliché. However in 1961, the public really took to the idea that two phenomenal vintages could occur in just three years. And right they were! 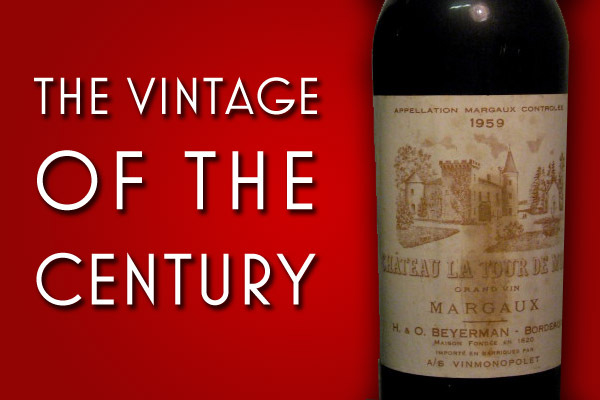 In this case, the ’61 really did deserve the praise it received, especially at Château Latour, which The Wine Cellar Insider describes as “Powerful, full bodied, intense and deep … elegance meshed with power.” Praised universally by wine critics—including a 100-point score from Robert Parker, the six magnums for sale could collectively go as high as $60,000. Every fan of Bordeaux knows all about the magical year that was 1982. Possessing near-perfect grapes throughout the region, Robert Parker of The Wine Advocate declared it to be (yet again) the “vintage of the century”—a watershed moment that sparked unparalleled interest in wine collecting. Symbolizing the best of the best, Château Petrus, the undisputed king of Pomerol produced what Parker described as “the most perfect and symmetrical wine” that he had ever tasted. So expect six magnum bottles from this year to reach as much as $10,000 each. Broadbent, Michael. Michael Broadbent’s Pocket Vintage Wine Companion. London: Anova Books, 2007. Broadbent, John Michael. Michael Broadbent’s Vintage Wine: Fifty Years of Tasting Three Centuries of Wine. Boston: Houghton Mifflin Harcourt, 2002. Clarke, Oz. Oz Clarke’s Bordeaux: The Wines, the Vineyards, the Winemakers. Boston: Houghton Mifflin Harcourt, 2007. Coates, Clive. 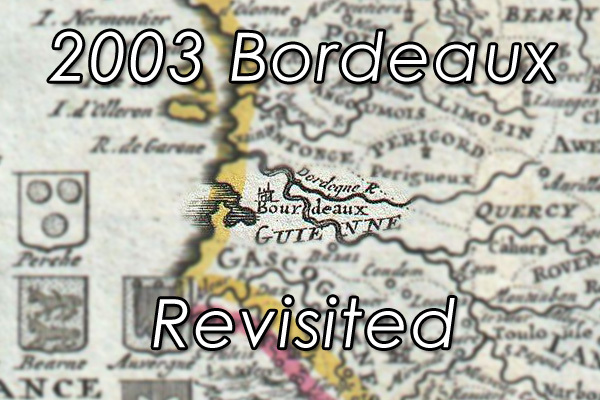 The Wines of Bordeaux: Vintages and Tasting Notes 1952-2003. Berkeley: University of California Press, 2004. Geier, Ben. (2016, March 30). Bill Koch is selling off his epic $15M wine cellar. Fortune. Retrieved from http://fortune.com. Greene, Kerima. (2016, April 2). William Koch’s wine collection headed to auction. CNBC. Retrieved from http://cnbc.com. McCoy, Elin. The Emperor of Wine: The Rise of Robert M. Parker Jr., and the Reign of American Taste. New York: HarperCollins, 2005. Potter, Maximillian. 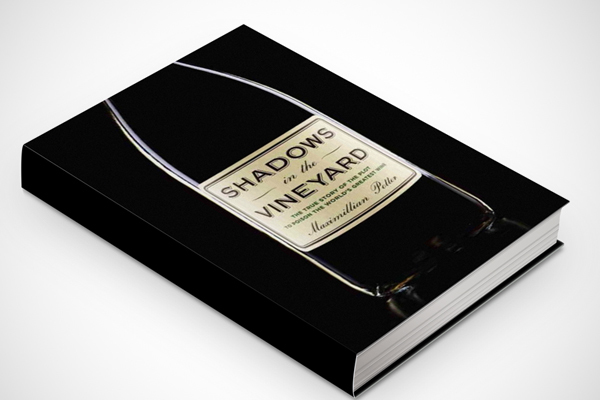 Shadows in the Vineyard: The True Story of the Plot to Poison the World’s Greatest Wine. New York: Grand Central Publishing, 2014. Wallace, Benjamin. The Billionaire’s Vinegar: The Mystery of the Most Expensive Bottle of Wine. New York: Three Rivers Press, 2009. Wine Legends of 2011: Château Mouton Rothschild 1945 . Decanter. Retrieved from http://www.decanter.com. 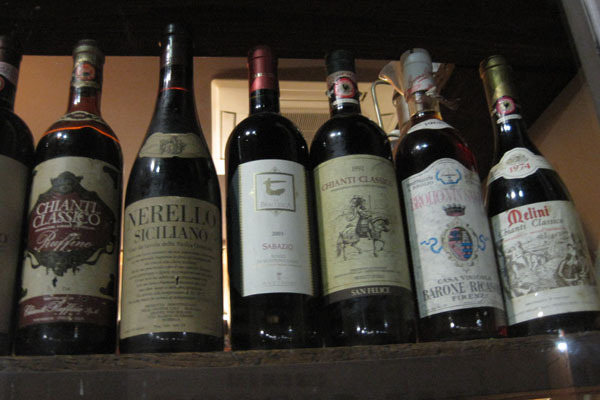 Have you tasted any of these vintages?